With Mother’s Day just around the corner, we are thinking about the special lady in our lives and how to thank her. 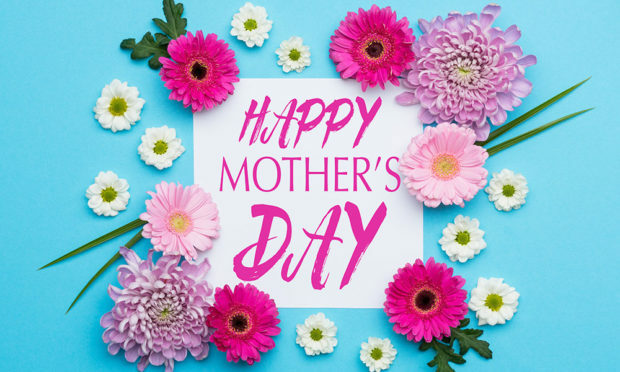 Whether it’s your biological mother, your stepmum, or someone who is like a mother to you, these amazing women deserve a little treat for everything they have done for us. Flowers are the usual go-to gift, but you may like to give something a little bit more personal and unique this year? So, we have rounded up five Mother’s Day gift ideas to save you seeking them out…. 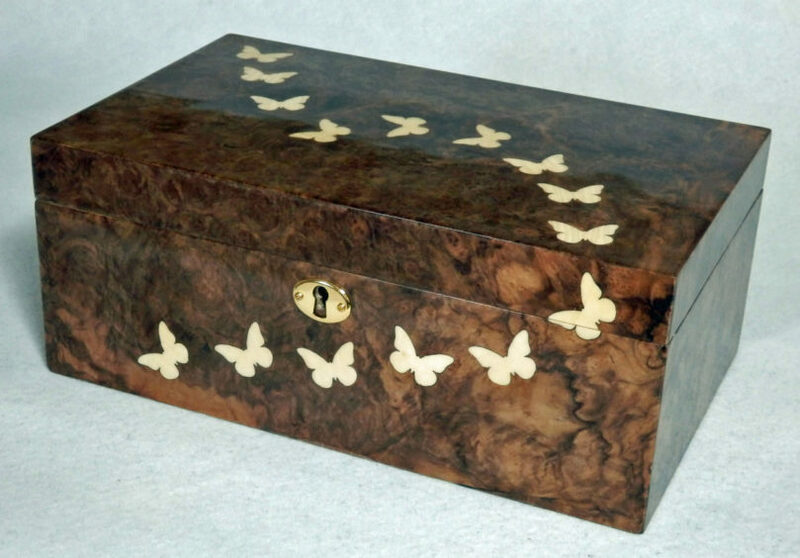 Digby Morrow designs and makes fine decorative boxes in his workshop near Linlithgow. His boxes are handmade with care in Scotland and are sold around the world. He works to very ﬁne tolerances and has a special interest in ﬁne marquetry inlay work and distinctive hand-rubbed ﬁnishes. His inlays are extremely varied and there is no real restriction on the designs that can be tackled. Digby’s boxes are highly individual and include jewellery boxes, memory boxes, special occasions and bespoke cigar humidors. There are plenty of examples of his work on his website. Digby works mostly to commission to produce truly bespoke items but for those who are interested in a more immediate purchase Digby makes for stock when he can. He has just introduced a range of smaller trinket boxes to ensure that he can now offer prices ranging from a under £200 pounds to several thousand pounds. Digby ships internationally with interest from North America, Continental Europe, Australia and The Far East. Clients are welcome to visit Digby’s home where commissions can be discussed and examples of his work may be on display. They offer a really unique and special gift opportunity and consequently are often purchased as family heirlooms. *To find out more about Digby’s creations, visit his website by clicking here. 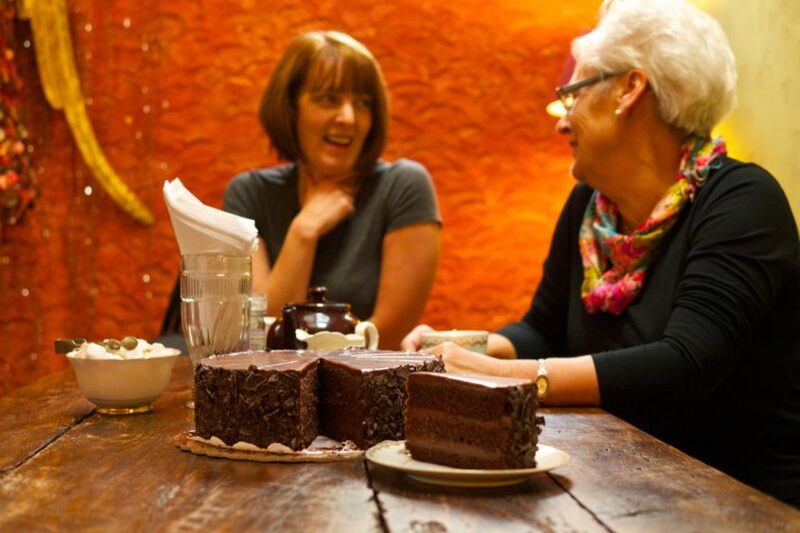 This Mother’s Day, melt her heart at the Pittenweem Chocolate Company and our Cocoa Tree Café, a year-round coastal haven in the picturesque East Neuk of Fife. Step into our independent, family-run village shop and discover a celebration of specialty chocolates, including single-origin varieties from hand-selected plantations around the world and our own chocolate range – handmade in Pittenweem. Our signature collection also includes an exclusive series of single-malt whisky and gin liqueurs. Developed by the Pittenweem Chocolate Company and crafted by our artisan chocolatiers in Belgium, the liqueurs are presented in attractive, wooden boxes – an imaginative gift for gin, whisky and chocolate connoisseurs! Beyond the chocolate boutique, experience our cafe’s inviting, continental ambience. Vintage charm and stylish chocolat’ inspired décor provide a relaxing backdrop for artisan coffee and good conversation, a continental-style lunch, afternoon tea and scones, signature chocolate cake or one of our luxury hot chocolates – handmade in Pittenweem. In spring sunshine, relax in our sheltered courtyard. On chillier days, enjoy the warming stove fire and cinnamon aromas. Give her a thoughtful present, memorable day out – or both – and create a perfect Mother’s Day with the Pittenweem Chocolate Company. *Open daily, 10am to 6pm. Shop online too by visiting the website here. It’s Mother’s Day on March 31 and the special lady in your life needs a special gift. If you’ve already done chocolates and flowers, maybe a Harris Tweed bag is the way to go. 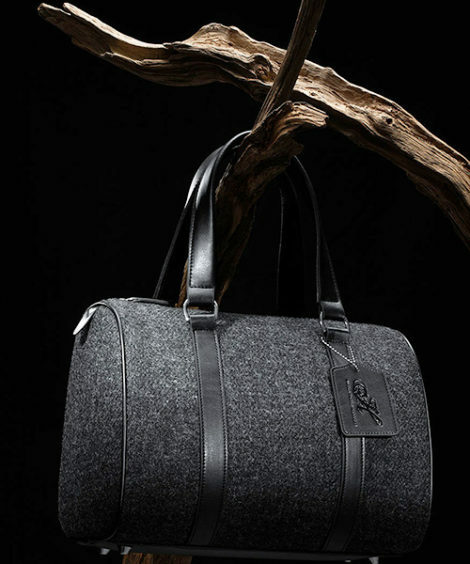 The Harris Tweed Hebrides Barrel Bag (pictured above) is perfect for work and play. Spacious and stylish, it fits all those things she can’t go without and still looks chic. Harris Tweed, handwoven by the islanders at their homes, finished and made from pure virgin wool dyed and spun in the Outer Hebrides, is governed by the 1993 Harris Tweed Act of Parliament – safeguarding the production of this iconic fabric. Identifiable by the distinctive Orb Trademark stamp, the artisan manufacturing process is protected and cannot be undertaken out with the Outer Hebrides. Harris Tweed Hebrides is an award-winning textile manufacturer based in Shawbost on the Isle of Lewis. If you’re in the Hebrides you can find the retail outlet in Stornoway where you can see Harris Tweed fabrics and a selection of garments and accessories. You can also view a short film that explains the unique production process involved in manufacturing Harris Tweed. *Visit the website to buy the Barrel Bag and a collection of the finest Harris Tweed fabrics by clicking here. Forget flowers and consider fossils! For a timeless and memorable Mothers’ Day present, why not try something a little different? 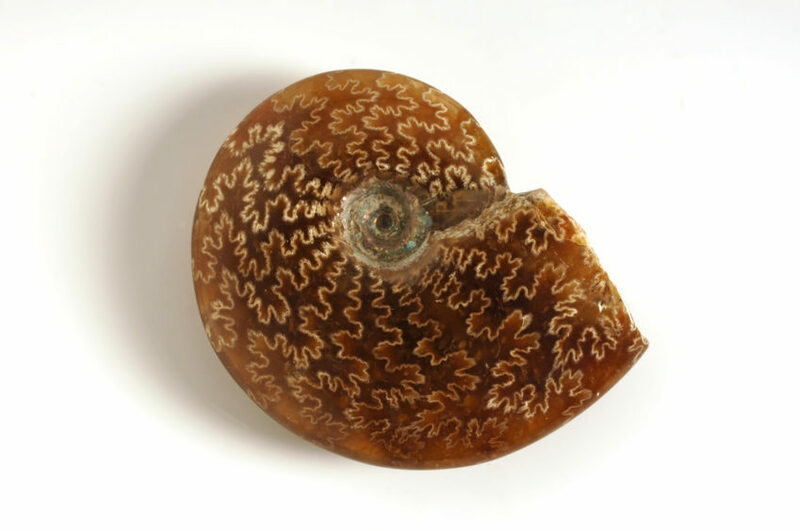 Ammonites filled the seas at the time of dinosaurs; this one (pictured above) is from Madagascar and roughly 110 million years old. Mr Wood’s Fossils sits in Edinburgh’s historic Grassmarket, and has a range of beautiful and interesting fossils, minerals, meteorites and jewellery, perfect for an unusual gift. Edinburgh’s famous fossil shop was founded in 1987 by fossil hunter Stan Wood, and has gone on to forge an international reputation for quality and value. There’s something for everyone, with shark and dinosaur teeth to capture the imagination, beautifully preserved fossil fish, ammonites, hundreds of millions of years old. Aside from the many fossils for sale, there’s a wide range of colourful minerals and crystals. They buy with a collector’s eye, so there are always some rarities, and our meteorite range is bigger than ever before. *If you can’t visit Mr Wood’s Fossils in person, have a look at the website by clicking here or give them a call 0131 220 1344. The site only shows a small fraction of what’s in store, so feel free to ask if there’s something you’re after. La Paloma brings you a touch of glamour every day with fruity, floral and spicy notes blended with organic agave nectar. The La Paloma range from The Scottish Fine Soaps Company contains the perfect gift for mothers day. Infused with Agave Nectar that is rich in skin-brightening glycolic acid, and with a fruity, floral fragrance, the range doesn’t just smell gorgeous but has some skin-friendly ingredients. Our brand new Box of Delights contains everything your Mum will need to pamper her skin with a 75ml body wash, a 75ml body butter and a 50ml Eau de Toilette spray. And until Friday the 22nd March you can pick up 3 for 2 on the range. SPECIAL OFFER: There is a 3 for 2 promotion on La Paloma range for a limited time only! *To see more products from the Scottish Fine Soaps Company or to order from the La Paloma range, visit the website by clicking here.